Sophos XG Firewall brings a fresh new approach to the way you manage your firewall, respond to threats, and monitor what’s happening on your network. These desktop firewall appliances offer an excellent price-to-performance ratio making them ideal for small businesses or branch offices. 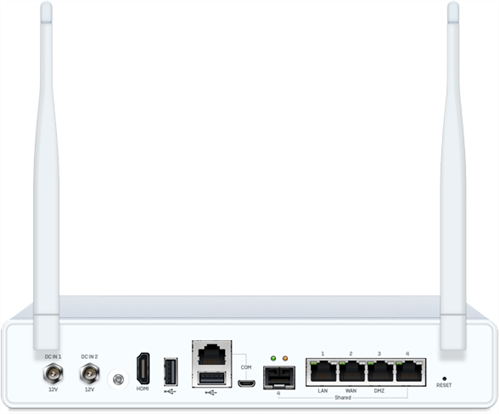 They are available with or without integrated 802.11ac wireless LAN, so you can even have an all-inone network security and hotspot solution without the need for additional hardware. Of course, you can also add external access points. With Intel multi-core technology designed for best performance and efficiency in a small form factor, these models come equipped with 4 GbE copper ports built-in and 1 shared SFP interface, e.g. for use with our optional DSL modem or an SFP Fiber transceiver to connect the device to a server or switch. An optional second power supply provides an unmatched redundancy option in this product segment. Sophos XG Firewall provides comprehensive next-generation firewall protection that blocks unknown threats, automatically responds to incidents, and exposes hidden risks. 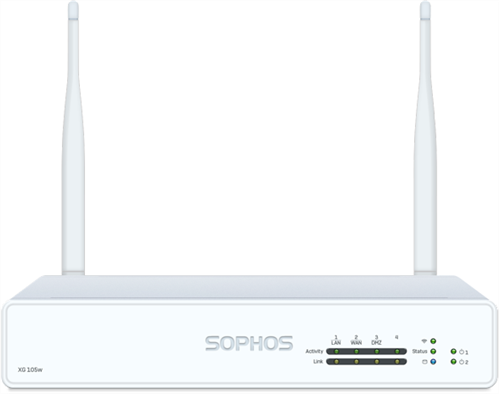 Sophos XG Firewall is the only network security solution that is able to fully identify the user and source of an infection on your network and automatically limit access to other network resources in response. This is made possible with our unique Sophos Security Heartbeat™ that shares telemetry and health status between Sophos endpoints and your firewall. The good news is, this all happens automatically, and is successfully helping numerous businesses and organizations to save time and money in protecting their environments today. You can extend protection with protection bundles or by adding protection modules individually. Sophos Sandstorm uses next-gen cloud-sandbox technology to give your organization an extra layer of security against ransomware and targeted attacks. Links your Sophos endpoints with your firewall to deliver unparalleled protection from advanced threats and reduce the time and complexity of responding to security incidents. Contact us for more information, and subscription bundle options. Telephone and email support, Software Feature Updates & Upgrades, for 90 days.